The 2016 Lincoln MKX isn’t lightweight but it feels like it. It’s because of the 2.7-liter EcoBoost engine that sends 335 horsepower and 380 lb-ft of torque, making a heavy SUV feel light on the highway. Its fuel economy is almost the same as the base 3.7-liter V6 at 17 city/26 highway mpg, allowing you to go places without worrying about fuel efficiency. The base has a little less acceleration and power at 303 hp and 278 lb-ft. of torque. What’s more is that the 2016 MKX offers a pleasant ride and a relaxed handling, allowing you simply enjoy the ride. When you get inside the 2016 Lincoln MKX near Hammond, LA, you’ll experience the softness of premium leather seats. Aluminum and wood accents, on the other hand, create a classy appeal while stylish color combinations add a nice touch. There’s also a Panoramic Vista Roof that brings in the beauty and relaxed atmosphere of the outdoors. 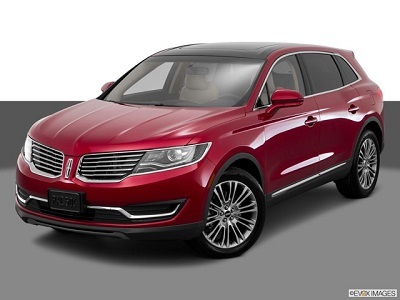 Posted on May 29, 2016, in Business and tagged 2016, dealers, hammond, lincoln, mkx. Bookmark the permalink. Leave a comment.